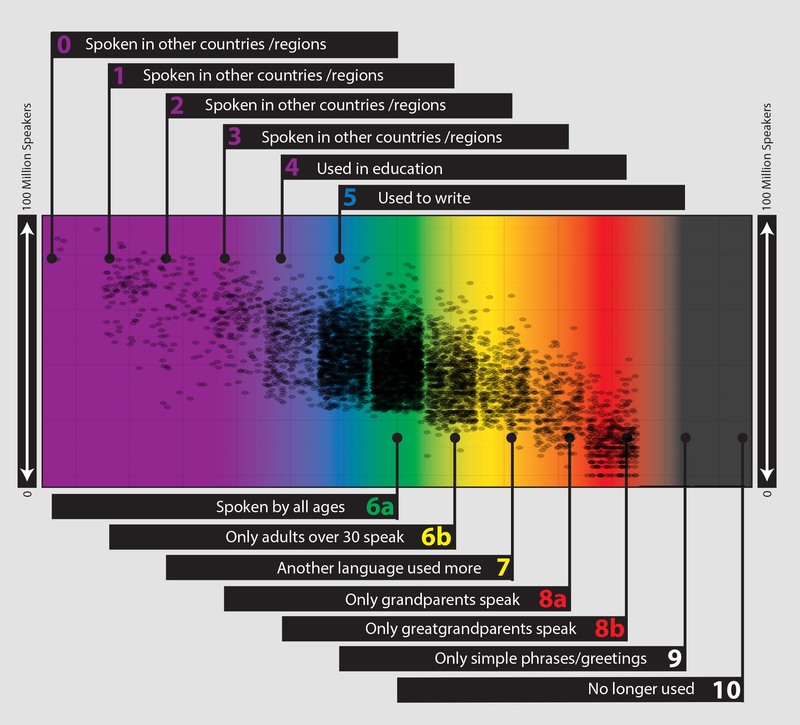 The EGIDS (Expanded Graded Intergenerational Disruption Scale) chart works as a system of classification of endangered languages, which is used by linguists and the UN as well as several other sources, which I will include later. The dots represent individual languages, and as you can see there are way too many in the 8b category! This is a super useful tool to understanding exactly how critical a given language is in terms of diversity and number of speakers.